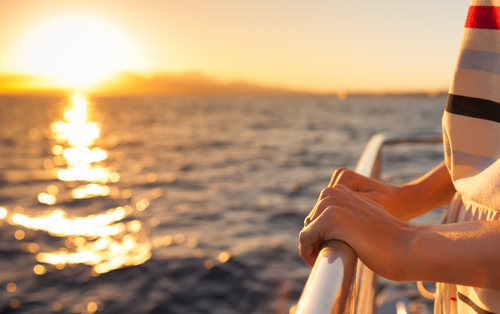 This cruise line is doing an Instagram contest for you and your #squad, so start posting! If you went on a fabulous vacation and didn’t post pictures on social media, did you really even go on vacation? I jest, but many of us can’t resist capturing that perfect Instagram (or ten), and sharing it with our followers. Now, this activity could earn you more than just the envy of your friends — Royal Caribbean has launched an Instagram contest that could make you a social media celeb. The cruise line is conducting a social media search to find the “World’s Most Adventurous Squad.” The contest, which runs from March 29th through April 12th, allows squads of up to four people to participate in five adventure-themed Instagram challenges. Every 72 hours, a new challenge will be announced on Royal Caribbean’s official Instagram page. To enter, find your best Insta posts related to that theme, tag up to three people and @RoyalCaribbean, and include the hashtags #AdventureSquad and #Contest. Just make sure your profile is public, otherwise the cruise line won’t get to see your fabulous entries. For each challenge, one squad will be named the winner and they’ll get to take part in real-life challenges aboard the Harmony of the Seas. Royal Caribbean’s social media channels will promote the victorious squads and help them skyrocket to Instagram fame. But wait, it gets better — the winners will also receive three free cruises to any Royal Caribbean destination in the world. If anyone needs me, I’ll be scouring through my vacation photos from the past 10 years.